This past weekend at California Extreme, an annual coin-op arcade and pinball table expo in the Bay Area, a little piece of Sonic history was made. 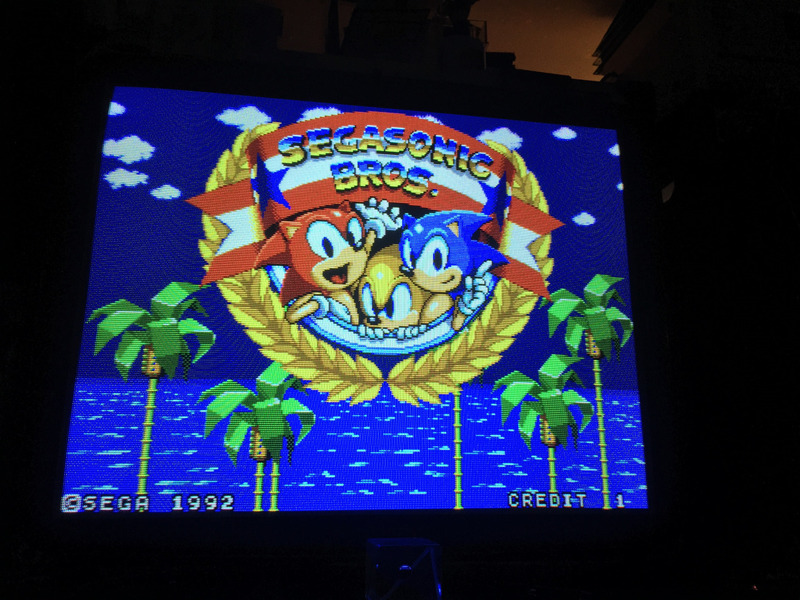 For the first time ever, the long lost SegaSonic Bros., an unreleased Sonic arcade game that first made waves two years ago, was playable to the public. I had the opportunity to attend CAX and spend over an hour with the cabinet – playing it, filming it, and taking pictures for posterity, as the game’s files may not be released to the public for a very long time. Check out the gameplay footage above, and hit the jump to see my in-depth thoughts on the game. The once long-elusive SegaSonic Cosmo Fighter Galaxy Patrol has finally been found, dumped, released, signed, sealed, delivered by the good folks of the Dumping Union, a group dedicated to preserving old arcade games that may have otherwise been lost to time. Cosmo Fighter was released in celebration of MAME, a notorious emulator that aims to recreate the hardware of thousands of arcade titles, which turned twenty years old on February 5th. An entire playthrough was uploaded to YouTube by ashthedragon, as seen above. If we’re doing our math correctly, every known, officially released Sonic game has been dumped as of this release, meaning all that’s left are prototypes/tech demos and any rare unreleased games. With the Sonic series getting older, it’s also becoming harder to find copies of prototypes of both released and unreleased games in the series. Aside from old video game companies not having put enough effort into archiving their work, game cartridges and arcade boards don’t last forever and will probably start to decay in a decade or two. Meaning that the sooner they’re found and archived the better. While most of you have probably never heard about the game until the past few days, it turns out that details about it were actually already posted online two years ago. Back in December of 2013, Kohji Kenjoh (who happens to be the mind behind Custom Robo) wrote about playing the game on SEGA’s own social media website it-tells. And half a year later he asked SEGA producer Yosuke Okunari about the game on Twitter, who responded and even posted a photo of the game. I’m sure a lot of you will probably want to try the game out. Thankfully ShouTime isn’t one of those collectors who wants to keep their collection precious and special by not sharing any of it with the world. He’s helped dump both released and unreleased arcade games in the past. This includes SegaSonic Popcorn Shop, which he helped dump in the October of last year. So he’ll probably share SegaSonic Bros. online as well at some point, meaning that you’ll be able to play the game using MAME. We have no idea when the game will be dumped, but in the meantime you should keep an eye on ShouTime’s Tumblr as he has been updating it with photos of the game as well as of other arcade games that he’s been collecting. You can also read Kohji Kenjoh’s description of the game, translated by forum member RyogaMasaki, below. Over at Sonic Paradise, member Alpha3 has documented his encounter with a SegaSonic Cosmo Fighter Galaxy Patrol arcade machine while on vacation in China, and has recorded the first (as far as we know) footage of the game in action! You can read more about Alpha3’s trip and his analysis over at Sonic Paradise. 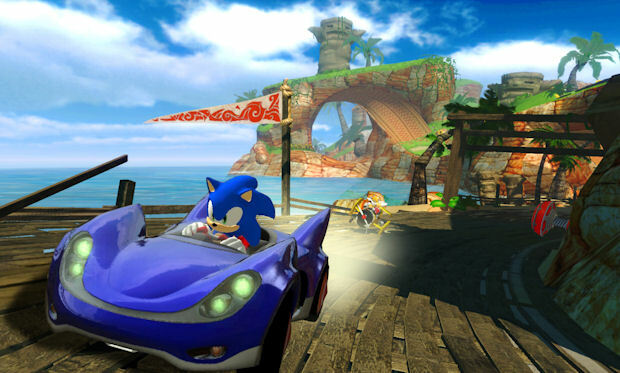 We’ve recently reported that Sonic and Sega All-Stars Racing was spotted out in the wild in arcades, but details on the game itself were rather scarce. Thanks to forum member NiktheGreek, we have a better understanding of how much the game was changed. And from the looks of it, the arcade version had a few parts removed from under its hood. Contrary to what you may think, the two newest Sonic games coming out this year aren’t coming to the Nintendo DS, PlayStation 3 or Xbox Live Arcade–they’re just coming straight to the arcade. Sega Amusements USA has released two new arcade games under their new “Sonic Allstars” (no apparent relation to Sega All-Stars) series: Sonic Air Hockey and Sonic Basketball. Sonic Air Hockey is an air hockey game utilizing the Sonic character and first of the Sonic Allstars lineup. 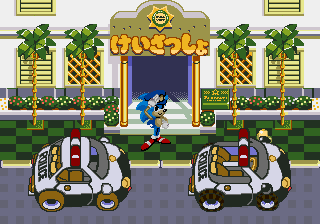 The unit is all dressed up in bright white and Sega blue, the Sonic Allstars branding with a giant Sonic right on the surface of the playfield. This air hockey table is suitable for 2~4 players with a wider playing surface to accommodate 4 players. The unit has a built in ticket dispenser for redemption with an adjustable ticket payout, and the Sonic Allstars line enables operators to build a Sega / Sonic themed area in their locations. 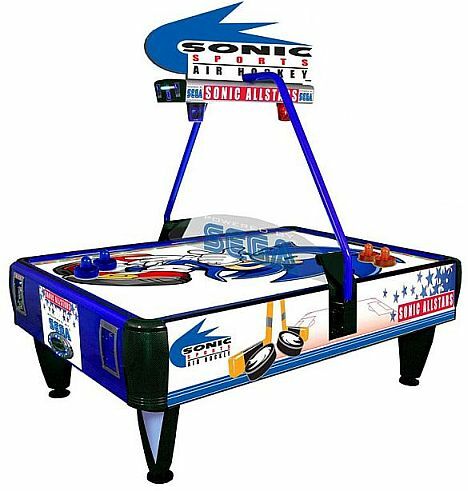 It features a polycarbonate scratch-free playfield, redemption ticket payout, electronic coin mech, 2 & 4 player available, neon overhead lights, aluminum body, side and center safe guards, chasing LED lights, time / score display, and Sega-branded pucks. 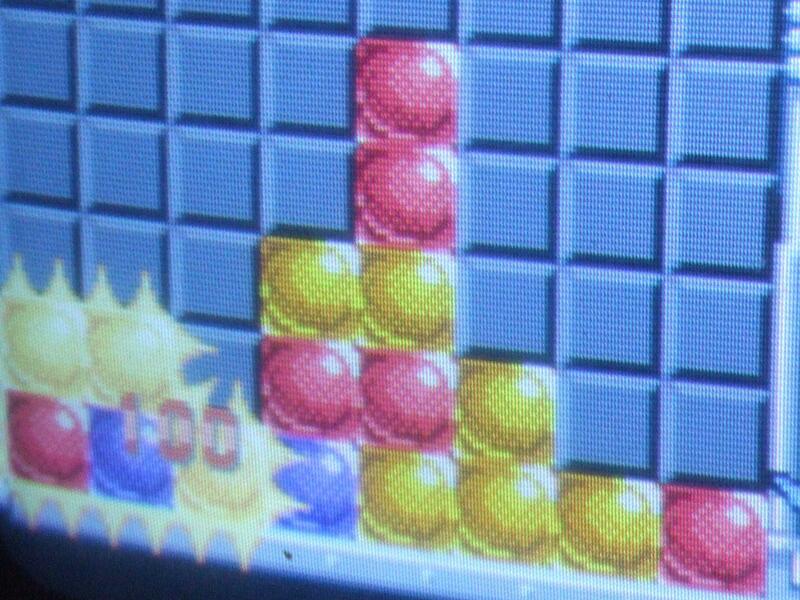 Sonic Basketball is a ticket redemption game with a built in ticket dispenser, where players are challenged to hit the target scores to move onto the next level and to try to beat the highest score. 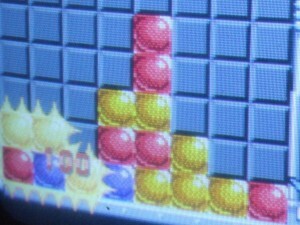 With each level cleared, the game play will change, the level of difficulty increasing with each stage. 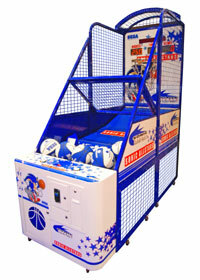 The title features include linking up to 15 units, original hip-hop mix music, a high quality bass speaker, built-in ticket dispenser, and Sega-branded basketballs. Keep a lookout for both of these new machines at your local arcade!